Strong, heavy duty polypropylene PP plastic buchner funnels. Molded 2-piece construction snaps together for vacuum seal. Resistant to corrosion and heat. Autoclavable up to 121 degrees Celsius. 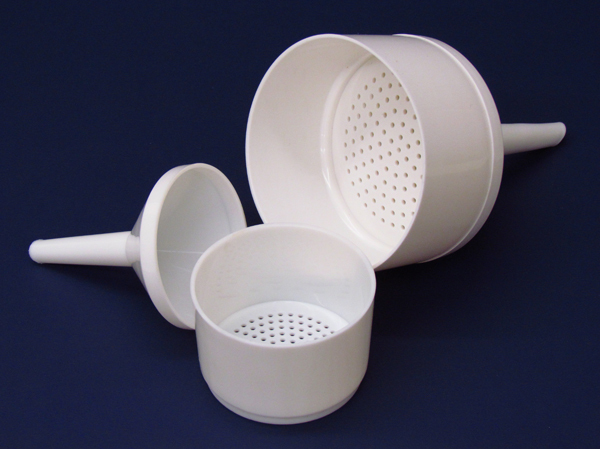 Picture is a representation of different buchner funnels available. Please refer to product description for individual items.